As human beings, we have 5 senses that we are fully aware of. Taste, touch, sight, sound, and feeling. But we also have a 6th sense as well that can be developed if practiced day to day. It is called your Intuition. 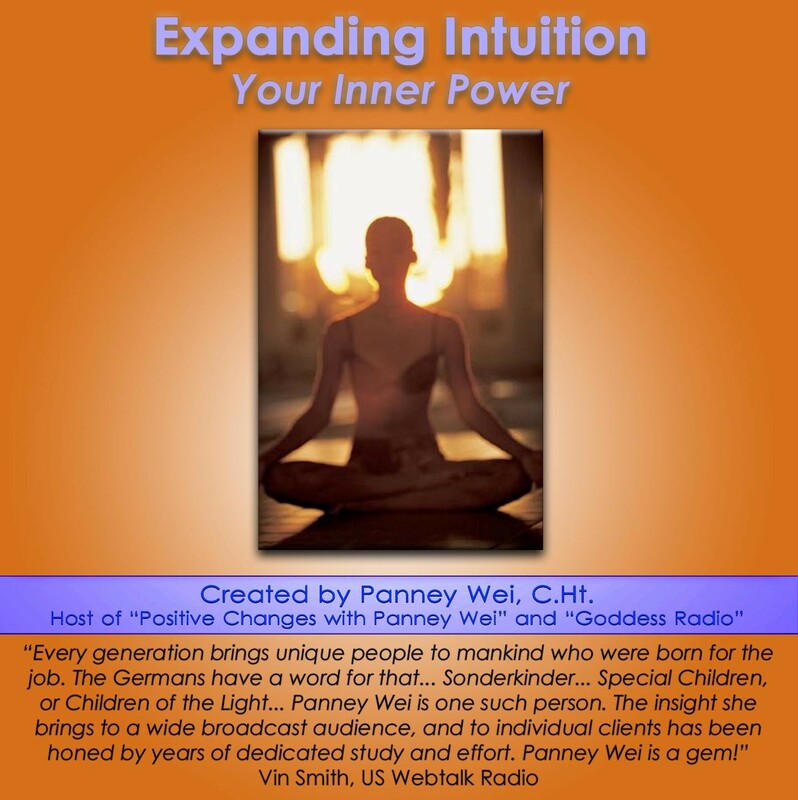 On this fascinating audio, Panney Wei shows you how to access your intuition, expand it, and improve it with practice, so that you may use it to guide you in daily life. Intuition can serve as an important tool to help lead you to the right people, places, things, and opportunities that will improve your life and serves as an inner guidance system, allowing yourself to receive answers from within. Join Panney in this audio to explore and access this inner power within you, your intuition, to bring comfort and clarity into your life!